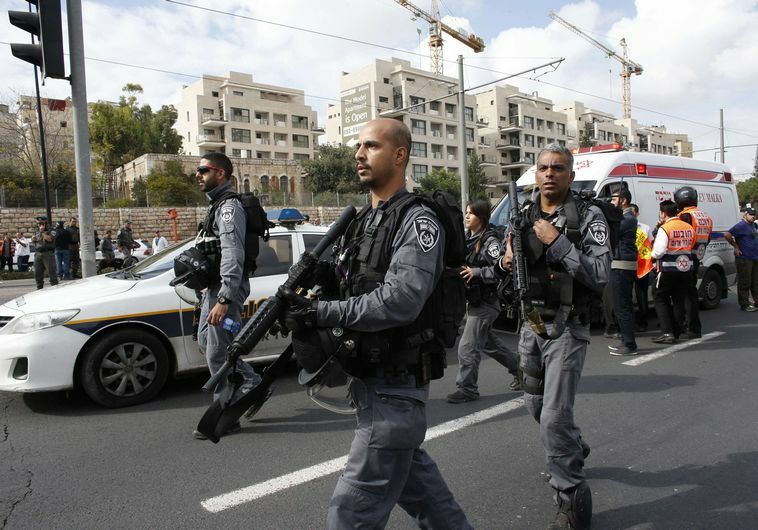 Further terrorist attacks can be expected in Jerusalem and elsewhere, though police are witnessing improved security on the ground as expanded security forces continue to reinforce the capital, Public Security Minister Yitzhak Aharonovitch said on Thursday. “We are in the midst of a period of popular terrorism – in Jerusalem, Gush Etzion, and also in Tel Aviv. I assume that there will be more attacks – I hope not, but I assume there will be,” Aharonovitch said. He noted that there has been a drop in the number of violent incidents in Jerusalem following a decision last month by Prime Minister Benjamin Netanyahu to send an extra 1,000 Border Police officers and special police units to reinforce security in the capital. Police will ensure that the status quo on the Temple Mount will remain unchanged, and that visits by Jews will not be disrupted by extremists, Aharonovitch said. However, on Wednesday night, Aharonovitch told Channel 1 that he will ban inciters of any faith, including Israeli politicians, from ascending the holy site. “Those who want to heat things up on the Temple Mount – from Right or Left, be it the Islamic Movement, Fatah or Israeli right-wingers, including MKs – we have the authority to prevent them from going,” he said. “When there’s an operational need and we see that it may lead to riots, I will not allow them to ascend,” the minister said. Aharonovitch added that Muslim worshipers, who once had unencumbered access to the Temple Mount, will soon be screened by metal detectors, which will be reintroduced to the site for the first time since 2000. Facial-recognition cameras will also be installed at some point, he said. The Public Security Ministry has already allocated NIS 4 million for the project, according to the Walla! news site. The minister rejected rampant speculation that a third intifada has taken root. “I’ve been in intifadas, [in] the first one and the second one… at the moment it doesn’t look like [there will be a third],” he said. Also on Thursday, Israel Police Insp.-Gen. Yohanan Danino said the police can already see that the security situation regarding the rioting in the capital is improving, though he added that the reinforcements would stay in place as long as they see fit. Danino and Aharonovitch spoke at a ceremony marking the appointment of Asst.-Ch. Moshe “Chico” Edri as Jerusalem’s police chief. Their comments followed statements made by the police Operations Branch and officers serving in the capital’s Old City, who have asserted that the situation on the Temple Mount and efforts to change the status quo there are at the very center of the recent violence and tension in Jerusalem and across Israel. They have argued that if the situation can be reined in on the Mount, the calm will spread to other areas of tension across the country. These police officials placed much of the blame for the situation at the feet of politicians who have taken up the issue of changing the status quo on the Temple Mount, saying they have helped inflame tensions. At the ceremony on Thursday, outgoing Jerusalem police head Asst.-Ch. Yossi Pariente, who oversaw one of the most violent periods the city has seen in decades, spoke of the difficulties he faced. “We are in a different reality than the one we knew before Operation Brother’s Keeper, the murder of [Arab teenager Muhammad] Abu Khdeir, Operation Protective Edge, this year’s Ramadan. I believe that if we can calm the situation on the Temple Mount and the extremists from both sides, the quiet will return to Jerusalem,” he said. Meanwhile, police said there would be no age restrictions for Muslim entry to the Temple Mount on Friday.